With the 450 SX-F, the KTM range offers a winner bike that draws potential from a large-displacement engine and a chassis perfectly tuned to handling its raw power. Ryan Dungey has used it to win the AMA 450 Motocross Championship and saw absolutely no reason to change bikes in order to defend his title. No wonder, as the compact SOHC engine with the groundbreaking injection technology guarantees brute but highly controllable power. 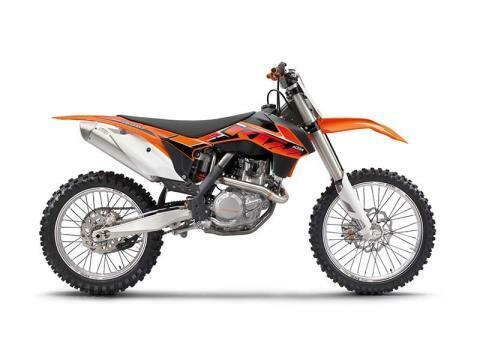 Among the large 4-strokes, the 450 SX-F scores mainly with its performance and agility. It is the right choice for every motocross rider loking for torque and power with lots of control for racing.